Let these gliders loose and they can really fly. 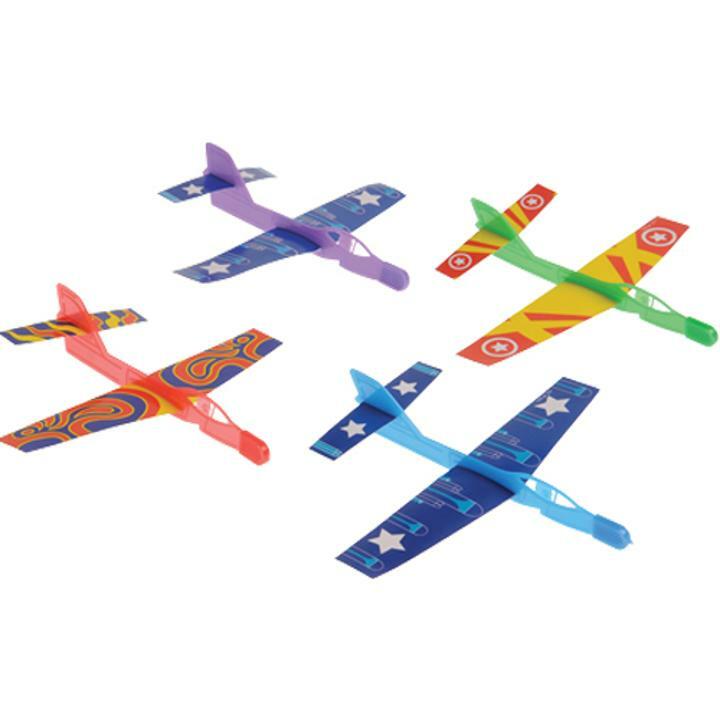 Gliders are a fun addition to a party favor bag, classroom reward bucket, carnival prizes, and much more. L: 5.0 in. W: 1.0 in. H: 9.1 in.